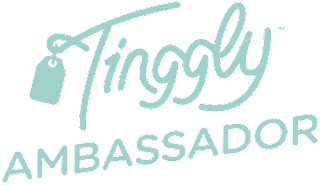 Toews Adventure: Announcing our Tinggly Ambassadorship! Hey all. Wanted to take some time to talk to you about a sweet partnership that the Toews have with a company called Tinggly. A while back, we were chosen to be Ambassadors for this brand, & we are pretty excited! Tinggly is a great new way of giving special gifts to the adventurer in your life. Tinggly offers various experience packages in locations all over the world. Check out their experiences map to get an idea of what we’re talking about. There are hundreds of different experiences to choose from. Expereinces like: snowshoeing in Norway, a historic Chicago kayaking tour, and bungee jumping at Victoria Falls inZimbabwe. Instead of giving a gift you are unsure if the recipient will enjoy and that lacks originality, Tinggly gives you the opportunity to send a gift that is personalized, fun, and flexible enough that the recipient will be sure to find something they love. Why do we like Tinggly? Thrilling experiences: Let us continue to list these cool opportunities: White Water Rafting in Colorado, Rock Climbing in Ireland, and Exploring a Volcano in Hawaii. What don’t they offer? We haven’t found an answer yet. Anywhere in the world: Experiences are available in 80+ countries around the globe. You can find something close by home, or plan an international trip around your gift. Two years to decide: Recipients get 2 years to choose the experience of their dreams. Timing is flexible, so there is limited stress when planning the adventure. What is our role as Tinggly Ambassadors? What does this mean for us in Zimbabwe? We are excited about this opportunity & we’ll let you know about our adventures. Note: Toews Adventure is being sponsored by Tinggly as part of their Ambassadorship Program. In return for trying Tinggly experiences, we write reviews & articles about our adventure. All content and views are our own. All images are provided by Tinggly. Affiliate links throughout.